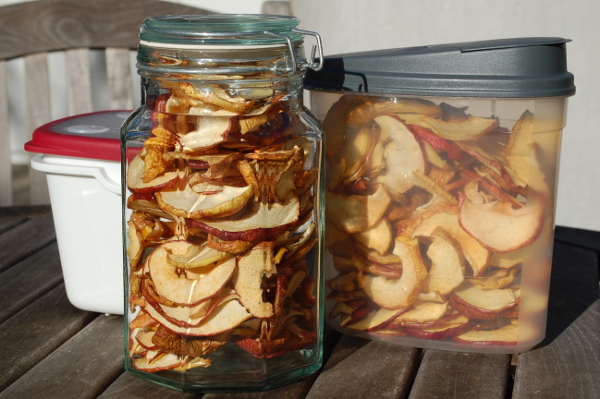 Here’s an example of how I Save Money By Dehydrating Fruit. My local grocery store frequently has a cart of marked down fruits and vegetables. Recently, the store had two bags for $2 each. 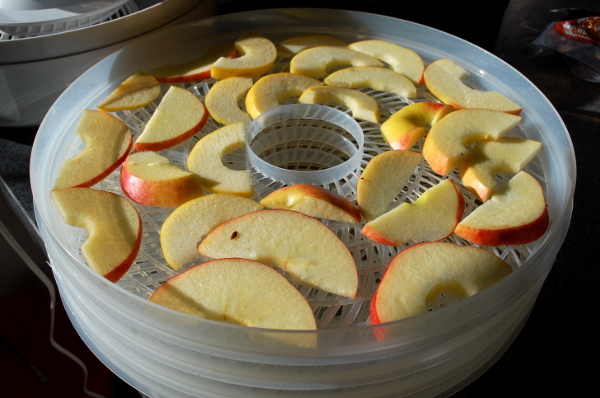 The apples were on the old side, but that didn’t matter because I cut them up and stuck them in my food dehydrator. 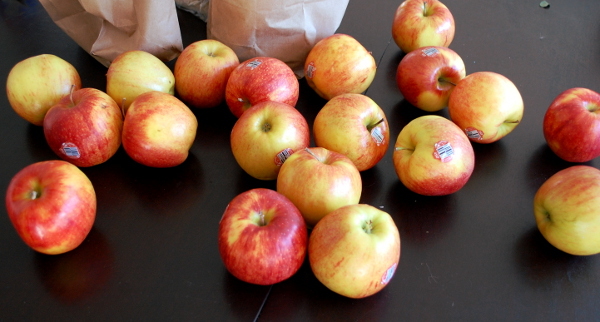 In the end, I ended up with three pounds of dried apples for $4. The same amount of dried apples in the store would have costs me a whole lot more.